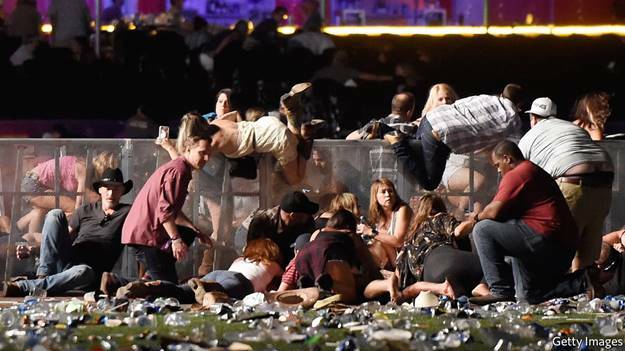 It took four days before the first elite controlled media published one of the main reasons all these people in Vegas had to die. The killer was on massive dosages of Valium (diazepam). He was prescribed 50 10mg diazepam pills in June. In a shameful article, we read that most doctors agree it is near-impossible for a pill to be the root cause of Paddock’s murder spree killing 58 and wounding more than 500. With the level of intelligence mainstream doctors prescribe we can translate this near-impossibility into near certainty. Obviously, doctors cannot even read the side effects and warnings that comes with such dangerous drugs. Around a hundred thousand Americans die from properly prescribed medicines each year but it is freely admitted and studies show that the majority of anti-anxiety drugs are not prescribed by psychiatrists who could expertly monitor the effects, meaning they are not properly prescribed so the side-effect outcomes are even worse. However, doctors and medical organizations would like us to believe that the above effects would be rare and again in print we read that doctors cautioned that it is highly unlikely – if not impossible – for diazepam alone to drive a person to shoot more than 500 people. Of course the drug “alone” would do nothing, obviously a sick anxious person needs to be taking the drug. ‘Aggression is one of the side effects in rare cases,’ Dr. Daniel Amen, a psychiatrist at Amen Clinics in Chicago, told Daily Mail Online. Properly prescribed, valium should only be prescribed for four weeks. That is rarely adhered to. 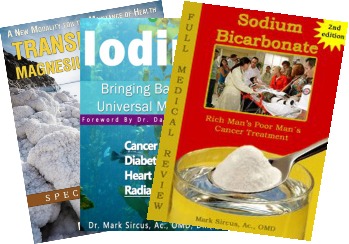 Many doctors hand them out for longer – intensifying patients’ dependence. Another terrible unstated side-effect of this terrible drug are the terrible withdrawal symptoms. According to Dr. Amen, his brain scans have shown that the purpose of the drug (to target overactive neurotransmitters in the pre-frontal lobe) is the exact reason it can be dangerous. “If you decrease the frontal lobe, what happens? That part of the brain is needed for focus, forethought, judgment, impulse control, empathy. You can actually make someone less empathetic with Valium.” Drugs are known to bring on Depersonalization Disorder whose hallmark is numbing of emotions and body senses, meaning a lack of empathy for others and self. 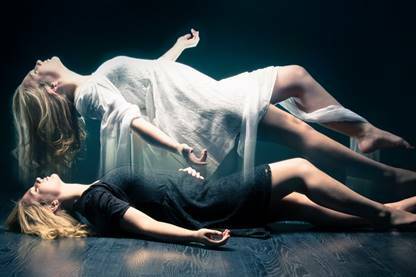 Depersonalization disorder is marked by periods of feeling disconnected or detached from one’s body and thoughts (depersonalization). The disorder is sometimes described as feeling like you are observing yourself from outside your body or like being in a dream. However, people with this disorder do not lose contact with reality; they realize that things are not as they appear. 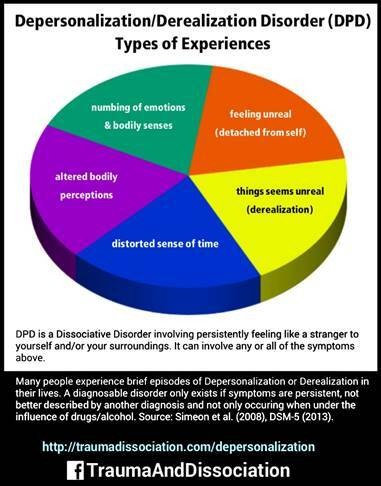 An episode of depersonalization can last anywhere from a few minutes too many years. People with depersonalization disorder describe a sense of complete detachment, a life lived as an automaton or on autopilot, characterized by an absence of emotions, either good or bad. They feel as though they are observing their life through a plate of glass or a dense fog, or as if it is appearing in a film. Their bodies and their beings have separated; their limbs are no longer their own. Whatever the trigger for DPD, sufferers report remarkably similar symptoms. They talk of barriers between consciousness and real life, of emptiness, futility and estrangement. See link for major signs and symptoms. Depersonalization disorder often is triggered by intense stress or a traumatic event — such as war, abuse, accidents, disasters, or extreme violence — that the person has experienced or witnessed. Some, who believe this syndrome can be cured, believe that the condition also develops as a result of bad drug experiences. Valium certainly offers many if not most people a bad drug experience. People with DPD often do not appear at all unwell or different to even their closest acquaintances; despite experiencing a total lack of empathy, friends and family do not notice any marked change. Seems to describe exactly what family, friends and neighbors are saying about the Vegas shooter. Psychologists have detected what appears to be a disconnection between the parts of the brain governing emotion and those determining rational thought. During studies, subjects may say that they feel anxious or frightened by prompts known to cause stressful reactions, but their bodily responses remain unchanged. Depersonalization means we cannot fully engage and leads to feeling of isolation. For some who experience this syndrome in its extreme it leads to the feeling that we do not exist or our body is not our own. The Vegas shooter is being described as a total loner. One to as many as two in 100 people is thought to have the condition, which is characterized by a sense of disconnect from the world around you, and your own body, and is believed to start as a defense mechanism – helping people to cope in periods of acute anxiety or trauma by switching off reality. Dr. Shao Lin, a professor in the department of environmental health sciences at the University at Albany studied how power outages impacted community health, including mental health. Her 2016 study on the impact of Hurricane Sandy found that the impact on mental health was substantial, she concluded; there was a significant increase in emergency room visits for substance abuse problems, psychosis, mood disorders and suicides throughout the city. As WND has reported, Charleston church shooter Dylann Roof was a known drug user who was caught with the powerful mind-altering narcotic Suboxone. Suboxone is used to treat addiction to opioid drugs such as heroin. It’s adverse effects include anxiety, irritability, depersonalization, confusion, suicidal thoughts and irrational, sometimes violent behavior. Other drugs linked to mass killers have more often been geared toward treating mental illness. According to a data set of U.S. mass shootings from 1982-2012 prepared by Mother Jones magazine, of 62 mass shootings carried out by 64 shooters, the majority of the shooters (41) were noted to have signs of possible mental illness — the precise kinds of mental illnesses that psychotropic medications are prescribed for. Back in 2013 Mike Adams the Health Ranger wrote about the real truth about mass shootings that bureaucrats and lawmakers are choosing to sweep under the rug: psychiatric drugs. If you want to know the real reason why mass shootings are taking place, this is the “inconvenient truth” the media won’t cover. Aggression is found among people who take Valium, especially for people who are male, 50-59 old, have been taking the drug for < 1 month, also take medication Chantix, and have Depression. Notice how the ‘rare’ word is not used.